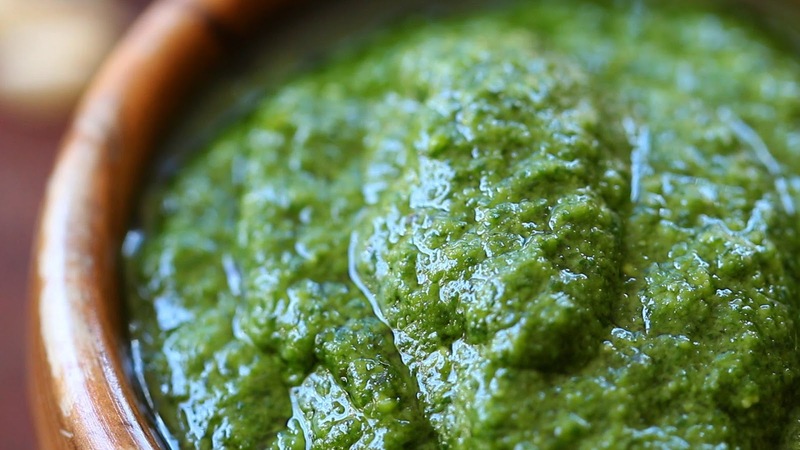 NouJi Creations: Homemade Delicious Pesto Dressing! - Basil leaves compose of several health benefiting essential oils such as eugenol, citronellol, linalool, citral, limonene and terpineol. These compounds are known to have anti-inflammatory and anti-bacterial properties. The herb is very low in calories and contains no cholesterol. - Garlic is an ear infection, sore throat and tonsillitis remedy. It wards off coughs and cold, breaks s down blood clots, reduces risk of heart attack and stroke, prevents cancer and aids respiratory problems. It also heal and reduce itchiness of insect bites, stop toothache and aids in digestion and stomach problems. - Pine nuts contain most of the vital nutrients required by our body. They are a good source of zinc, vitamin B2 and potassium. They also contain minerals like magnesium and iron, phosphorous, niacin, riboflavin, thiamin and Vitamin and also some essential amino acids needed by the body. Some of the pine nuts nutritional benefits include, suppression of appetite, antioxidant protection, and cardiovascular health maintenance. - Olive oil is rich in mono-saturated fats that help protect against Type II diabetes. It helps with weight loss; maintain healthy heart, lower blood pressure, keeps healthy bones and healthy skin. In addition, it helps prevent colon and skin cancer. Place all the ingredients into a food processer, pulse a several times to combine, then your pesto is ready to use!